Most Lego Dimensions sets are on sale at Best Buy right now. Starter packs are $69.99, fun packs are $7.49, team packs are $14.99, and level packs are $19.99. If you have gamers club unlocked then you can save another 20% lowering the prices to $55.99 for the starter pack, $5.99 for fun packs, $11.99 for team packs, and $15.99 for level packs. If you don't have GCU, you can add it at checkout and you should get the discount. Thanks! When does the sale end? I have no idea. Their sales generally go Sun-Sun so this is probably the last day. FYI, they are also offering free shipping or free in-store pickup. If you were on the fence... Best Buy is showing a LEGO - First Order Star Destroyer as an additional bonus when you order LEGO TFA video game. $6 cybermen + discounted LEGO TFA + Finn + bonus polybag + Upromise rewards = irresistable, even when buying GCU. I'm thinking the game will drop in price soon. However, if I DO pre-order from BB, will they refund me the difference? Amazon does if you pre-order with them. My dimensions order arrived today. My collection was nearly complete so the sale prompted me to get all the remaining sets (except for one which was out of stock). I ordered 9 packs and for whatever reason best buy decided to ship most items individually. Most arrived squished but I didn't mind since I'm not planning to keep the boxes. The Back to the Future Level Pack is $11.99 at Best Buy online. Wonder if they screwed up and meant to put the fun pack on sale for that as all fun packs on [email protected] seem to be down to 11.99 as a regular price. Target did this too (is doing this). Didn't want this to get lost in the Black Friday thread. Lego Dimensions Starter Sets are back down to $39.99. Lego Dimensions Story Packs: $29.99. "Gamers Club Unlocked 20% off video games benefit does not combine with promotions advertised in Best Buy's Thanksgiving Day physical ad or expanded digital ad." Blew my money at Gamestop with the hope I will get the Green Arrow Dimensions figure. I'd like to do so as well, but am skittish. I guess placing an order shouldn't hurt, eh? Bestbuy has a handful of the older Dimensions sets for as low as $3.59 if you have Gammers club unlocked. Not only that but if you have Gamers club unlocked, they have Story Pack for 23.99, Gremlins, Harry Potter, and other Team packs for 11.99, Level packs for 14.99, plus all the rest of 1st year not listed above and new 2nd year packs for 4.79. I just drooped $80 finishing out my 1st year and bough some extra gremlins packs just for gremlins figures. You can only but 1 pack of each per order so I had to make multiple orders. Also they have the PS4 Supergirl starter pack for $27.99. 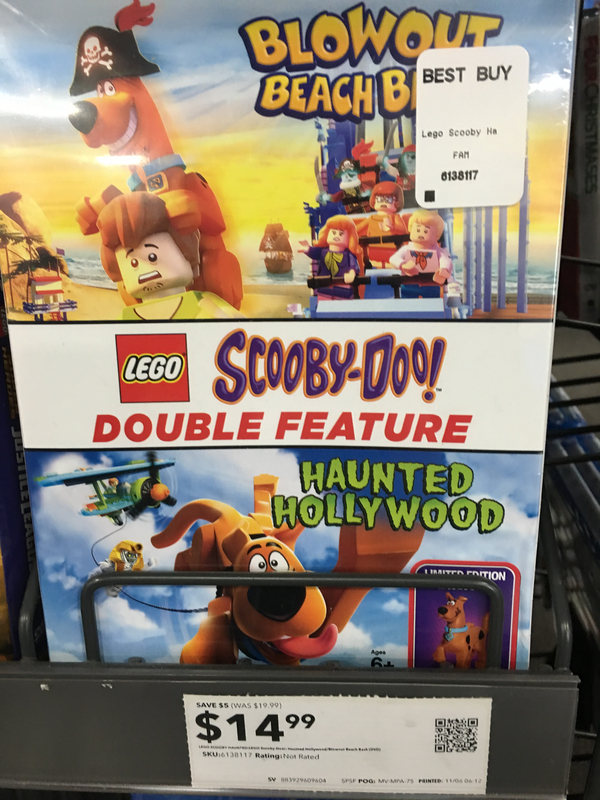 Not sure if this has been mentioned before, but has anybody noticed that Best Buy sells LEGO sets now? I am not talking about Dimensions, but regular sets. Found them at my local store and at a store in Albuquerque. Both stores had the same selection (picture from my local store). Not sure about the reasoning behind the selected sets. 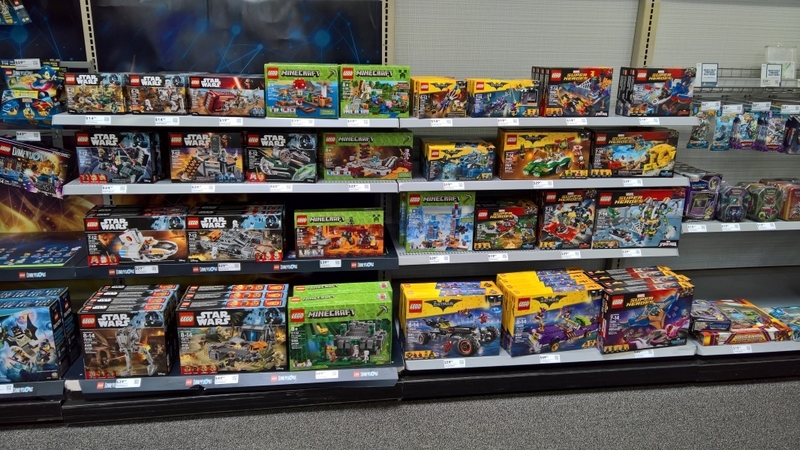 I see movie (SW, TLBM, GotG2) and video game (Minecraft) related sets, but no SM:Homecoming sets and non-movie related SM and Avengers sets. They have more sets online. Anywho, more stuff to keep an eye for sales. My local BB also had Lego sets. I didn't look closely but those looked like the same sets they had, although maybe not as many copies of each. 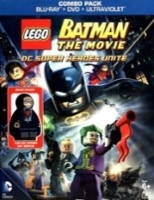 For anyone interested, the original lego batman game movie that includes the Clark Kent fig is available on bestbuy.com for 12.99. This is one of my favorite MINI FIGS! ^ I ordered from them a few months back and they sent the one without the minifig. I returned it. If you look closely at the listing, nowhere it says that includes a minifig. 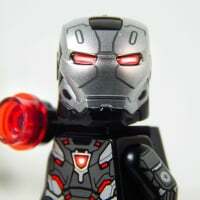 Reviews from 2013 indicate that the minifigure is included, but newer reviews say it does not. Boo. 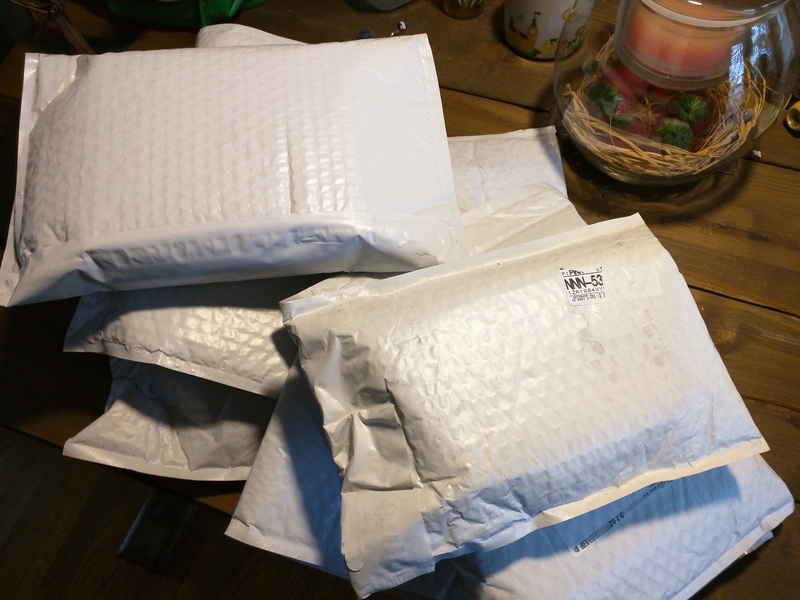 Well, I rolled the dice and ordered 3 to get free shipping. I assume now that they will not have the figure. I will be returning them to the store then. I received mine last week and it included the Clark Kent fig. @Jootog you might want to try again if you really want the fig. @JooTog @madforLEGO glad to help. Same here, also got a couple Batzarro ones too. all arrived with figures in the boxes. Mine are due tomorrow! Fingers crossed! Mine arrived today; this time the one with the minifigure. I guess the first time was a glitch on their side. Me happy now. Mine arrived yesterday as well with the figure. Thanks @ReesesPieces for the heads up! Received them all with figs!! Thanks all and especially that fond memory candy!! All released Dimensions sets 50% off... a bunch of them are already sold out. If you are in their gamer club, you get the extra discount as well. Noticed today at a local Best Buy that the Dimension sets are still 50% off. Fun packs $5.99 Team packs $12.49 and Level packs $14.99. Bought the Teen Titans team pack. Thanks for this! Too bad I missed the Midway pack on sale again. 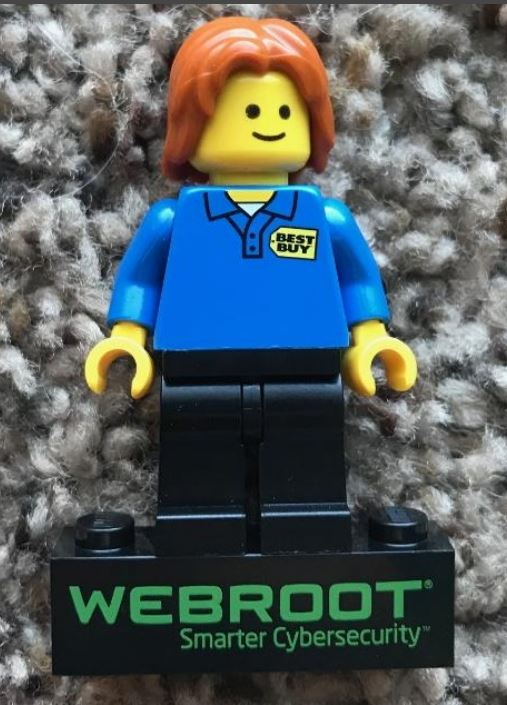 I was in our local Best Buy and on a cash register (Not for sale) were some Webroot Best Buy minifigs. Saw these two repackaged DVD collections tonight. Just DVD or do they have Blu-ray versions? The box sets are just DVD versions, I believe. 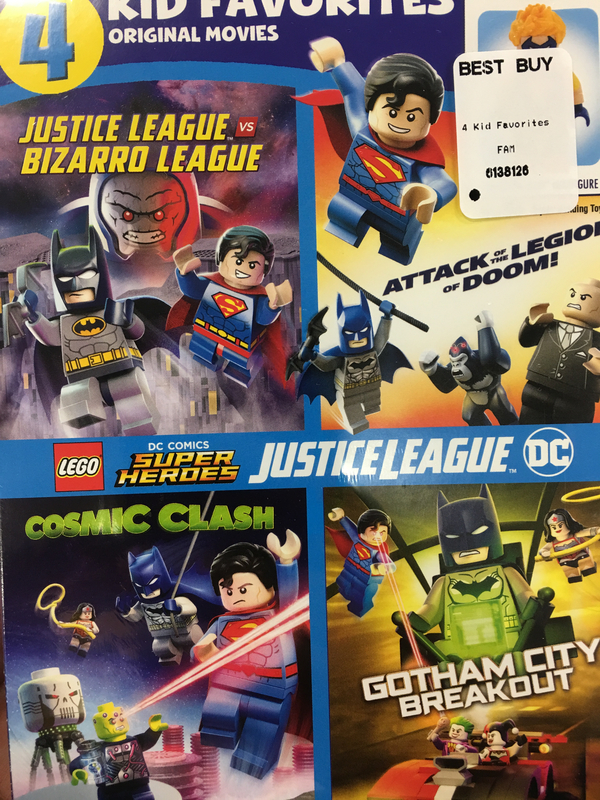 Some dimensions fun packs at $2.99, team at $6.99. Just ordered the starfire and Tina Goldstein with free shipping too. Beetlejuice was still available, and the powerpuff girls too. Darn, wish some others were available! Yeah, was hoping to get the raven and beast boy, but waited too long. It was sold out at $16.99. Those were available really, really early in the morning, like 3am. Sold out pretty quickly though. With the BB gamers club discount they ended up being $2.35 each. Received a holiday mailer with two bar codes for two different date periods. 25% off on one toy item. Best Buy has several sets at 20% off currently. I didn’t see any awesome deals though. 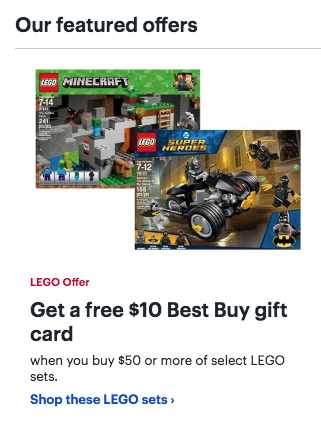 Best Buy is running a similar Target deal (Get $10 gc if you buy $50+ of selected Lego).